Sulfasalazine is a sulfa drug that is used primarily to treat inflammatory bowel disease and colitis. It is also used to reduce the actions of substances in the body that cause inflammation, tissue damage, and diarrhea. Sulfasalazine requires a prescription from your veterinarian. It is believed that Sulfasalazine starts working when it reaches the intestines, and provides topical relief there. It does so by reducing the synthesis of inflammatory mediators known as eicosanoids and inflammatory cytokines. Sulfasalazine may have adverse interactions with other drugs. Talk to your veterinarian or pharmacist before giving your pet other medications. What is the most important thing I should know about Sulfasalazine? The exact way that Sulfasalazine works is unknown, but it is believed to reduce the actions of substances in the body that cause inflammation, tissue damage, and diarrhea. Sulfasalazine is used to treat inflammation of the bowel in conditions such as inflammatory bowel disease. This medication may also be used for purposes other than those listed here. Sulfasalazine is a prescription medication not FDA-approved for veterinary use; however, it is a commonly accepted practice for veterinarians to prescribe this medication for dogs and cats. 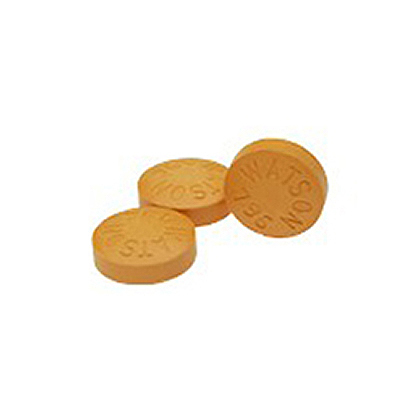 Sulfasalazine is available as 500 mg tablets. Sulfasalazine is not for use in pets allergic to it or other sulfa drugs. What should I discuss with my veterinarian before giving Sulfasalazine to my pet? Tell your veterinarian if your pet has ever had an allergic reaction to Sulfasalazine, a sulfa based antibiotic, or aspirin, a blockage in the intestines or urinary tract, porphyria, liver or kidney disease, or glucose-6 phosphate dehydrogenase deficiency. Tell your veterinarian if your pet is pregnant or lactating. How should Sulfasalazine be given? The usual dose for dogs is 10-15 mg/lb every 8 hours. The usual dose in cats is 5-10 mg/lb given once a day. Always follow the dosage instructions provided by your veterinarian. Do not give Sulfasalazine to any pet other than the pet for whom it was prescribed. Give this medication exactly as directed by your veterinarian. The dose and duration of therapy will depend on the specific condition and the response to the medication. Give all of the medication your veterinarian has prescribed. Symptoms may start to improve before the condition is completely treated. Give Sulfasalazine by mouth. It may be given with food. Allow plenty of water for your pet to drink. If you do not understand the directions ask the pharmacist or veterinarian to explain them to you. What are the potential side effects of Sulfasalazine? Stop giving the medication and seek emergency veterinary medical attention if your pet experiences an allergic reaction (difficulty breathing, closing of the throat, or swelling of the lips, tongue or face, or hives); worsening colitis (fever, abdominal pain, cramping, or bloody diarrhea); sore throat; fever; or yellow eyes. Other less serious side effects may also occur. Continue to give the medication and talk to your veterinarian if your pet experiences nausea, vomiting, decreased appetite, headache, a rash, itching or hives, fever, or KCS (dry eye). Side effects other than those listed may occur. Talk to your veterinarian about any side effect that seems unusual or bothersome to your pet. What happens if I miss giving a dose of Sulfasalazine? What happens if I overdose my pet Sulfasalazine? Seek emergency veterinary medical treatment. Symptoms of overdose may include nausea, vomiting, abdominal pain, drowsiness, and seizures. What should I avoid while giving Sulfasalazine to my pet? There are no restrictions as to food or activity during treatment with Sulfasalazine unless your veterinarian directs otherwise. Sulfasalazine may decrease the absorption of digoxin. Sulfasalazine may also decrease the absorption of folate (folic acid). Drugs other than those listed may also interact with Sulfasalazine. Talk to your veterinarian or pharmacist before giving prescription or over-the-counter medications. Sulfasalazine is a prescription medication used in cats and dogs to treat inflammatory bowel disease and colitis. Sulfasalazine is not FDA-approved for use in veterinary medicine; however, it is a commonly accepted practice for veterinarians to prescribe this medication for cats and dogs. 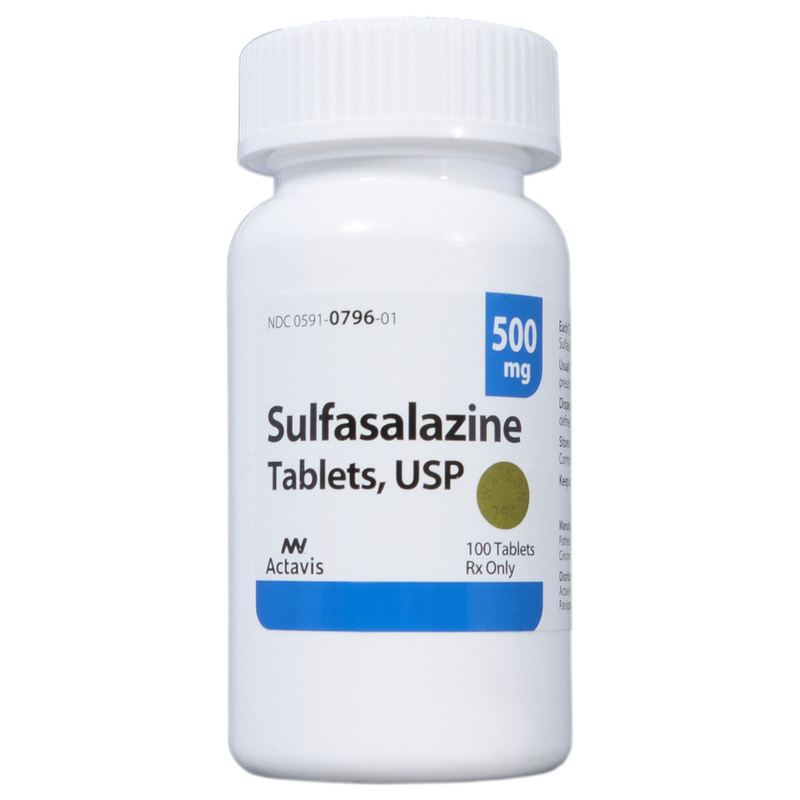 Sulfasalazine is a sulfa analog that has antibacterial and anti-inflammatory activity. Give this medication exactly as directed by your veterinarian. Allow plenty of water for your pet to drink. The usual dose for cats is 5-10 mg/lb of pet's body weight by mouth once daily. Sulfasalazine may be given with food. Allow plenty of water for your pet to drink. The usual dose for dogs is 10-15 mg/lb of pet's body weight by mouth every 8 hours. Sulfasalazine may be given with food. Allow plenty of water for your pet to drink.